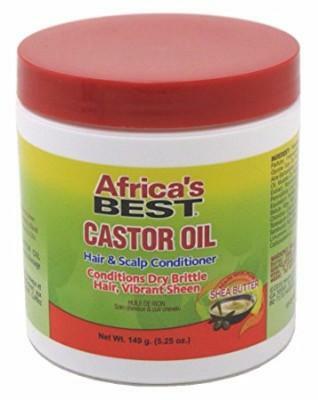 Africa's Best Castor oil conditioner, conditions dry brittle hair and gives vibrant sheen. Contains a healthy blend of African extracts & oils. Part hair and apply CASTOR OIL CONDITIONER directly to hair & scalp. Massage gently. Style as desired.